My name is Aurore. I am French, but I first arrived in Australia just over eight years ago and tend to think of it as my adoptive country. I live in beautiful Tasmania with my husband, Shane, and our almost-5-year-old daughter, Emma. 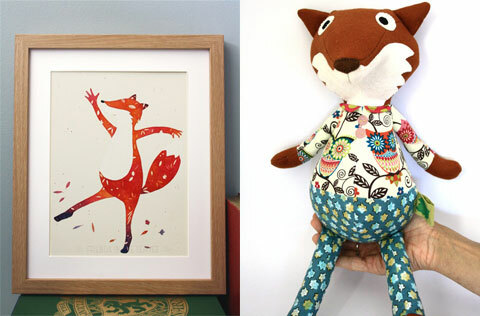 Hidden away in my sewing room, I make soft toys, 3D portraits, and illustrations. I have a background in history and archaeology. I actually met my husband in Sweden while we were both studying Viking archaeology! Various circumstances and a lack of enthusiasm for Viking ceramic led me to drop out of the Masters I had started. 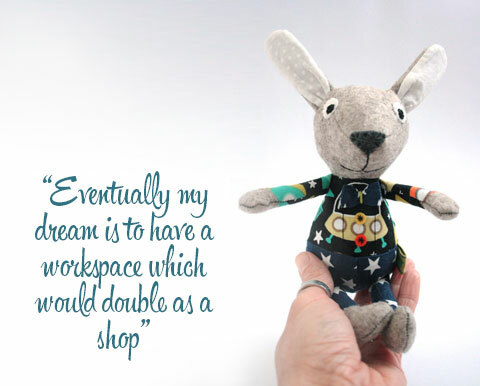 A few months later I started making soft toys. Seven years on, my hobby has become a business, which I hope will turn into a viable full-time venture in the next few months. I am very new to Made It as I only opened my shop a few weeks ago. Since coming back to Australia in September after living in Scotland for two years, I have been aware of the need for my business to reach an Australian audience and Made It seems to be the best platform for it. The UK is where Friends in the Leaves really took off and I find that coming back to Australia is almost like starting all over again; most of my customers and followers are not based in Australia yet. But I am up for the challenge! 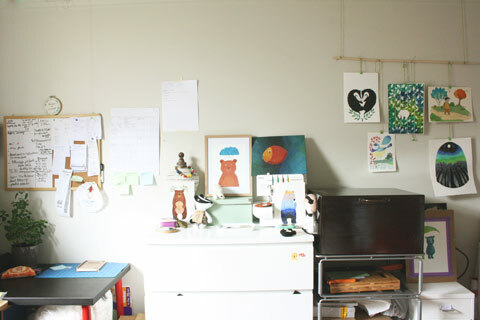 I have also been trying to discover new amazing Australian businesses and become a part of the Australian handmade community. I am working on it! I have always created things. I can remember a time when I would spend afternoons enthralled in making paper sandals (I must add that I was about 10 years old). At the end of my teenage years I dabbled in pattern making and proudly wore very unsavoury pants with unsafe zips. 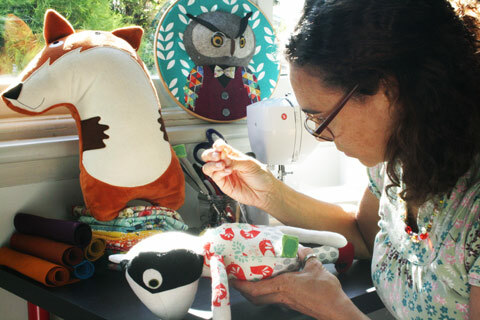 Toy-making started a few months after I arrived in Australia. 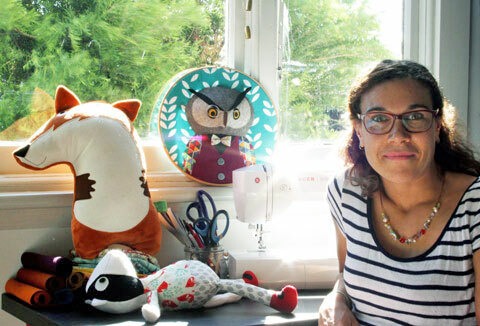 I had discovered a French toy-maker and realised that I would love to have a go at designing my own toys. My first prototype looks very funny and is not even finished, but I love it. It shows how far I have come and how much more mature my style is now. 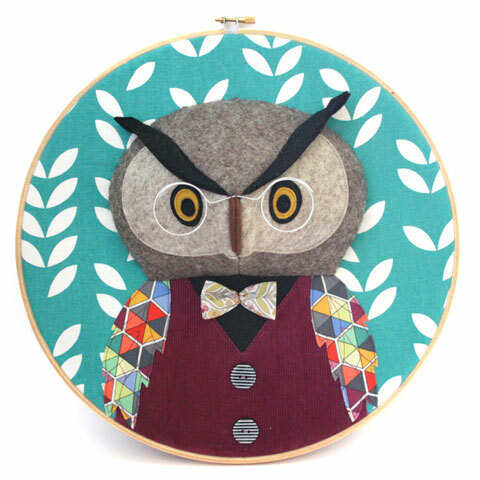 About a year ago I started designing 3D portraits using embroidery hoops; I had been trying, rather unsuccessfully, for months to paint portraits of the various characters I had created in the form of toys, and the idea hit me quite suddenly that 3D portraits would be just the thing! They are now very popular. 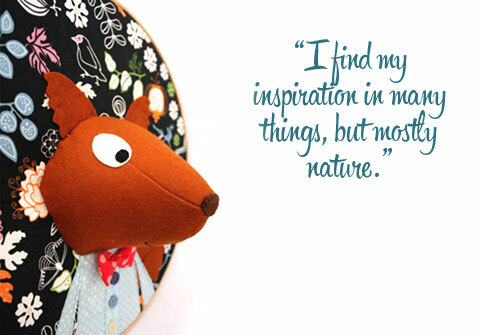 I find my inspiration in many things, but mostly nature. Being in Scotland inspired me to focus on woodland animals. 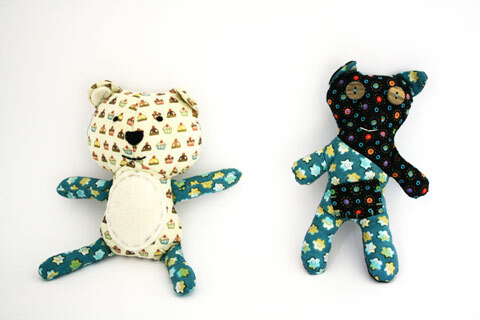 In the next few months I will be designing Australian animals (the koala is the only native animal I have made so far). Colours and illustrations are another source of inspiration. I recently started selling my own illustrations and sometimes they inspire new toy designs. 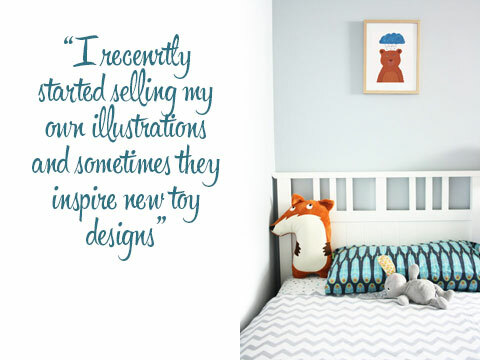 For example my ‘Grumpy Bear’ illustration inspired a cushion in the shape of a bear with a grumpy face. I love the idea that handmade can mean eco-friendly. I often wish that I could use clothes found in second hand shops to make my toys but when we lived in Scotland they had to comply with European safety standards. This is wonderful, as it means that my toys are certified safe from birth, but it also means that I can only use new materials when making them. 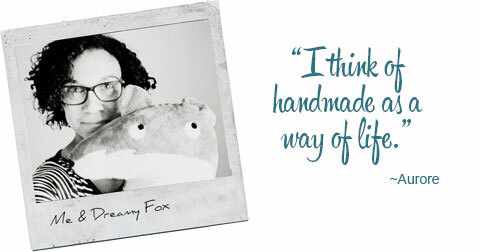 I think of handmade as a way of life. Some people do not understand it; they see only the price tag that usually comes with handmade creations, not the love, care and thought which has gone into it. Besides, handmade often means custom-made. What is not to love about having your own unique creation?